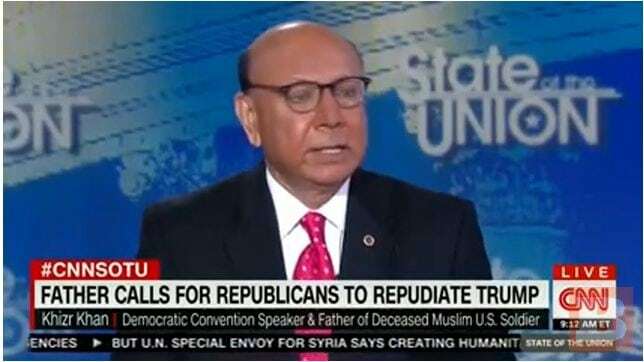 Appearing on CNN Sunday, Khizr Khan, the father of a fallen Muslim soldier, said that Islamic terrorists have “nothing to do with Islam,” Breitbart.com reported. He also said Senate Majority Leader Mitch McConnell and House Speaker Paul Ryan have a “moral obligation” to “repudiate” GOP nominee Donald Trump. He has also criticized Hillary Clinton and Barack Obama for refusing to link radical Islam to Islamic terrorism, Breitbart said. MINNESOTA Bows To Islam: Non-Muslims, Go To Hell! !